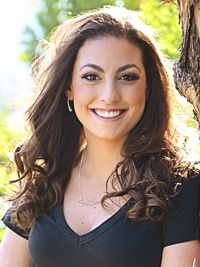 Santina is a born and raised Calgarian who graduated from University of Calgary in 2011 with a Bachelors degree in Kinesiology (BKin). She then continued on to McGill University where she completed her Masters of Science in Occupational Therapy in 2013. Santina is a registered Occupational Therapist with ACOT, CAOT and SAOT and has been working as an Occupational Therapist in Pediatrics since 2014. Santina is also bilingual, and able to provide services in both English and French. Santina has experience working with children and families with a variety of needs. This includes but isn’t limited to Autism Spectrum Disorder (ASD), Sensory Processing Disorder, Developmental Coordination Disorder, regulation difficulties, and various developmental delays including challenges with fine motor, self-care and play skills. A client-centered approach, taking into consideration the child, their family, their tasks and environments, is used to ensure a holistic approach to therapy. Santina loves her job as an occupational therapist and finds it so rewarding to help children and clients achieve their goals and experience success in the tasks that are important to them. During her free time, Santina enjoys travelling and hiking with her husband, reading, cooking, and spending time with family.